Scooper - Technology News: What makes a modern saint? What makes a modern saint? Nineteen years after her death, Mother Teresa will be canonized. The act of turning a mere mortal into a saint is an ancient tradition still practiced by the Roman Catholic church - the world's largest Christian faith, with nearly 1.3 billion followers. While early saints were martyrs who died for their beliefs, whether during the days of the Roman Empire or the sixteenth century schism between the Catholic Church and the Church of England, the modern process recognizes "heroic virtue" and the ability to carry out feats perceived as miracles. In historical terms, Mother Teresa's transition from death to sainthood has been remarkably swift. The route towards canonization cannot normally start until at least five years after death, but the Pope can waive this. In Mother Teresa's case, it was just two years before Pope John Paul II permitted the opening of her Cause of Canonization. The Cause of Canonization begins the gathering of evidence on the life and work of an individual considered to be worthy of sainthood. Evidence must be collected that the individual lived an exemplary life. Once sufficient evidence is collected, the case is passed to the Pope. If the Pope decides that this was indeed a life lived in "heroic virtue", they are bestowed the title of Venerable. In the final stages, a very specific and detailed process is followed to offer supposed proof of at least two "miracles". In both cases, the miracles must be seen as originating as a direct result of appealing to the venerable person - apparently showing that the deceased is intervening from heaven. Following detailed investigations, the Catholic Church believes that Mother Teresa cured two people suffering from tumours , while a doctor expressed fears that such claims risk turning sick people away from modern medicine. Instantly recognizable in her blue and white sari, Mother Teresa was small of stature but huge in presence. Born in 1910, she dedicated over half of her life to helping the poorest of the poor, particularly in the Indian city of Kolkata (Calcutta). She founded the Missionaries of Charity Brothers in 1963, an organization which today is present in 69 communities spread across 21 countries. 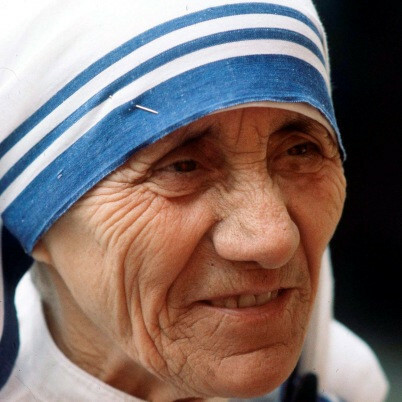 In 1979, she accepted the Nobel Peace Prize for her humanitarian work, which included setting up hundreds of centres around the world for orphaned children, homes for people with HIV/AIDS, leper colonies, and hospices for the terminally ill.
Not without her detractors, Mother Teresa was criticised for misuse of funds, poor medical treatments and religious evangelism. She was accused of accepting donations from those with questionable morals. However, she argued that it didn't matter where the money came from, it was the fact that it had been put to good use that mattered. It can take years and sometimes centuries for sainthood, but in recent years the process has become faster. Saint Bede, the theologian, died in 735 but had to wait 1,164 years before he was declared a saint. Mother Teresa has only had to wait 19. 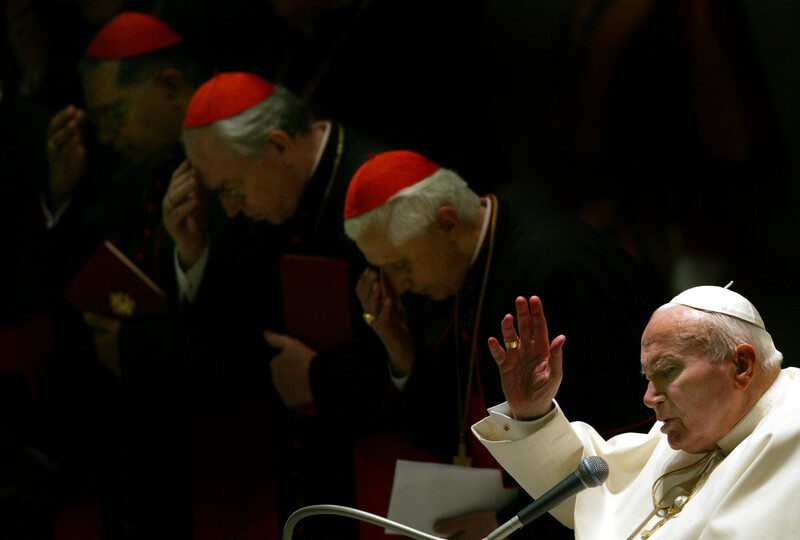 Pope John Paul II was canonized in 2014, some 9 years after his death. "After a long history of saint-making, the Catholic Church is experiencing an unprecedented pace of beatification and canonization under the last two popes, John Paul II and Benedict XVI," says a recent paper on the subject. The most recent Saints canonized by Pope Francis include Elizabeth Hesselblad, a Lutheran convert who hid Jews during World War II, and the Polish founder of the first men’s religious order dedicated to the Immaculate Conception, Stanislaus Papczynski. Other canonizations have been more controversial, such as that of Junipero Serra, a Spanish missionary, which prompted widespread protests among Native Americans because of the devastation that came after the arrival of Spanish missionaries. Mother Teresa's canonization comes at the tail-end of the Church's Holy Year of Mercy , a period focusing on mercy and compassion, which runs until November 2016.